Sharp has today announced one of the craziest smartphone displays yet: a 5.5-inch IGZO LCD panel with a resolution of 3840 x 2160. That's right, this display destined for the next generation of flagships packs 8.3 million pixels into a palm-sized area, equating to a massive pixel density of 806 PPI. This new 5.5-inch 4K Ultra HD display is the same size as the Quad HD panel found on the LG G3, but thanks to its significantly higher resolution, it blasts the 534 PPI display out of the water in terms of pixel density. Even the Galaxy S6, which packs a 5.1-inch 1440p panel, can't compete with its mere 576 PPI display. Unlike with high-density AMOLED panels, Sharp hasn't needed to use a PenTile subpixel matrix, with this Ultra HD LCD panel using a traditional RGB stripe. Sharp hasn't revealed any other display specifications, so it'll be interesting to see how it fares in terms of brightness and power consumption, the two major downsides to high-resolution panels. Sharp expects that this 5.5-inch 4K panel will begin mass production in 2016, meaning it's on track for inclusion in flagship smartphones released towards the end of 2016 or start of 2017. 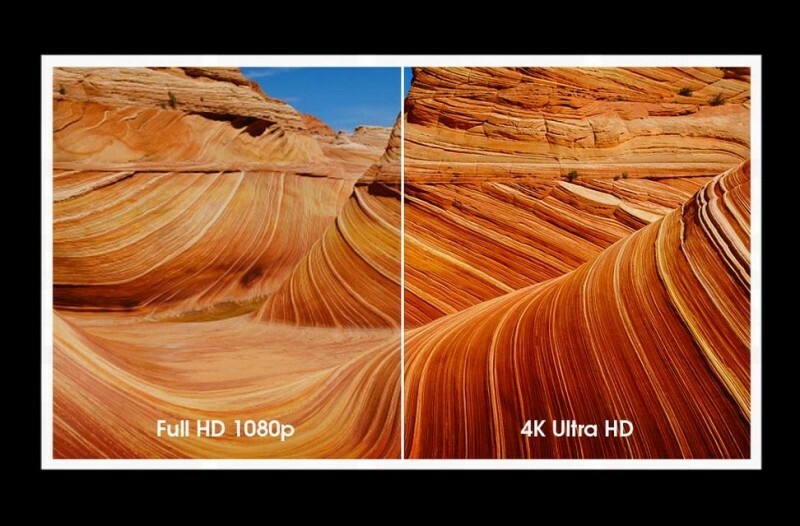 All we need now is a smartphone SoC that is even remotely capable of rendering to such a high display resolution.